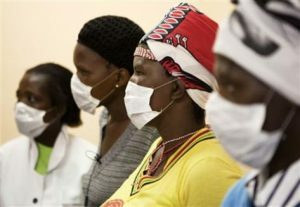 Infection prevention and control for Africa in English. Teleclass Education Africa provides courses on infection prevention and control topics with particular focus on the needs of African healthcare facilities. Each course explains the topic in step-by-step detail, and there is an optional test at the conclusion. Courses are available in 5 common African languages. If you are unable to access the online course, please contact us to that we can accommodate you in another way.